We build close relationships between home and school because we know that children are happier and learn better if we work well together. Teachers are busy in the morning, but are usually available in the playground after school for a brief chat. If you wish to speak to them for longer, you can make an appointment and they are always pleased to meet with you. We hold a Meet the Teacher evening each September and individual parent / teacher meetings twice a year. The children's main school report is given to parents in July. Our Home / School link worker, Claire Hague is dedicated to supporting our families. If you wish to make an appointment to meet with her please contact the school office. Here at North Leigh School we understand that some children may have a caring role within their home. This will bring them extra responsibilities and put pressure on them, which in turn could affect their learning. 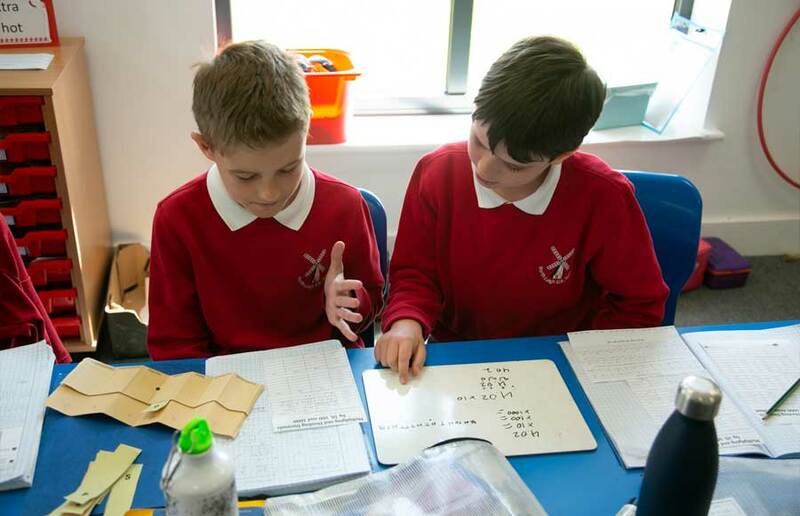 They may need to have extra support to help them get the most out of their school day so that they can more happily access their learning and with more confidence. We understand that a child could be caring for a parent, grandparent or sibling who has a disability, mental or physical illness or is affected by substance misuse. We aim to support our Young Carers by providing them with a group or 1:1 sessions that are fun, support them emotionally and enable them to share information and experiences with other Young Carers within school. Claire Hague, our Home School Link Worker, is the Young Carers' Lead in school. She provides a safe, confidential environment to enable a Young Carer to feel free to ask for advice and support when needed. We work closely with Spurgeons Young Carers' Service and can put children and their families in touch with them and other support services within our community if required. We have disabled facilities and access here at North Leigh School to enable a Young Carer's family to be part of our school community and to support their child's learning by attending events such as parents' evenings, sports events, assemblies and performances in school.